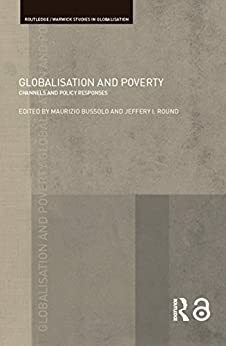 The consequences of globalization for the world's poor are uncertain and fierce rhetoric is dividing its supporters and detractors. The channels of effect of essentially macroeconomic shocks on the microeconomic position of individuals and households in poor countries are many and various. This book addresses three core issues: 1) what are the main channels of effect? 2) what are the lessons to be learned from policy measures to alleviate negative poverty consequences? and 3) do the proposed analytical approaches assist in providing a monitoring capability? This volume assesses the more easily quantifiable effects resulting from price and quantity responses in the goods and labour markets. It includes studies of Colombia, Ghana, India, Nepal, Bangladesh and Vietnam. It uses key analytical approaches, most of which are based on numerical simulation methods employing models with different levels of complexity. These models capture the features of an economy, how it functions, and how it might respond to globalization shocks. The most important collective contribution of the authors is their establishment of directions and magnitudes of effect, based on empirical evidence. University of Warwick, UK World Bank, USA.